Certificate of Authenticity issued by the Babe Ruth Museum. Black chair-stands/brackets (shown) and hardware/instructions. Most number tag requests can be accommodated. Back style: This is really a personal preference; the 507 high–back style is rarer, and adds a small amount to the order. 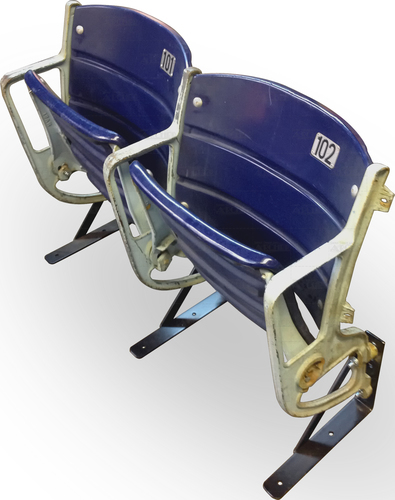 The most common plastic style at Camden Yards was the 505 low–back. 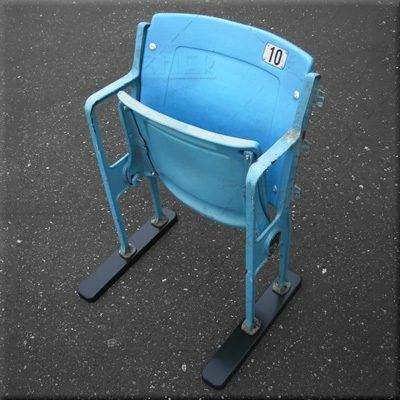 Figural logo: These easily distinguish the seat with the Baltimore Baseball Club logo. You can opt for two if you’re feeling even fancier. The end tags were generally double or triple letters (DD, AAA, etc.). No promises on any specific aisle tag requests, but we can usually find what you’re looking for. If we have to go hunting we’ll ask that you agree to $5 more for your custom order. 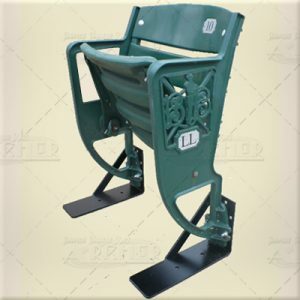 If you purchase one logo, you can specify if you want it on the left or right (as you sit in the seat). Keep in mind the numbers will be on the higher end if you choose a left–hand logo, and start at #1 if you choose a right–hand. “Wood Feet” stabilizers: These are a good idea if you plan on moving these around on tile or hardwood floors frequently, where there’s a danger of scratching the powder-coated L-brackets. If you order wood feet, they’ll come pre-drilled with the hardware you need…just snug them up with a screwdriver. 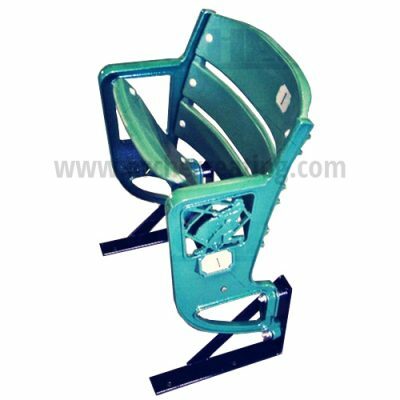 These are very sturdy and we generally advise these when the seats are in commercial applications. Your standard L-bracket, however, is perfectly fine and will never tip on you. Probably the coolest item I have ever bought for my memorabilia room. Seat looks almost new, very cool addition to my room!